Watch the recap from the UFC Brooklyn weigh-in, featuring main event stars Henry Cejudo and TJ Dillashaw. Bantamweight champion TJ Dillashaw looks to join the short list of fighters that have held two belts at the same time when he goes down in weight to face flyweight champion Henry Cejudo at Fight Night Brooklyn on January 19. Presented by Toyo Tires, bantamweight champion TJ Dillashaw shows he's just like us and talks all things superheros, fighting a clone of himself, and his not so glamorous first job. UFC champion and analyst Daniel Cormier previews the Jan. 19 superfight between flyweight champion Henry Cejudo and bantamweight champion TJ Dillashaw. Few UFC championship fights have been as stirring – or as surprising – as TJ Dillshaw’s victory over Renan Barao for the bantamweight title in May 2014. 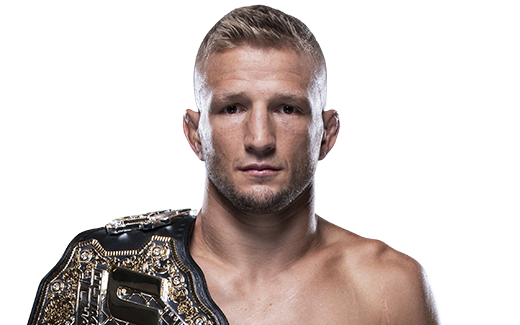 Dillashaw was a considerable underdog with a 10-2 professional record when he faced Barao, arguably the greatest bantamweight in MMA history, at UFC 173 in Las Vegas. Barao brought in a 34-1 record, was on a 22-fight win streak and hadn’t lost in nine years. But Dillashaw pulled off a stunning upset, using quick hands and exceptional footwork to dominate Barao from the start before finishing him with a fifth-round TKO. Dillashaw’s rise through the ranks wasn’t exactly meteoric, but he progressed quickly after turning pro in 2010. TRAINING: My day generally consists of morning pro practice, followed by either wrestling, grappling or sparring, and then some Bang Muay Thai in the afternoon. In the evening I do strength and conditioning and find time for rest and recovery between each practice. When and why did you start training for fighting? I started training after I graduated college and my college wrestling career was over. I didn’t reach all my goals in wrestling and wasn’t done competing, so, being a well rounded athlete, I thought I could be good at fighting and I gave it a shot. What does it mean for you to fight in the UFC? It’s one step closer to what I have been working for in the last two years. A three-time NCAA qualifier in wrestling at Cal State Fullerton, Dillashaw joined Team Alpha Male in Sacramento at the urging of his friend Urijah Faber. He won his first four professional fights, but his big breakthrough came when he was signed to take part in The Ultimate Fighter: Team Bisping vs. Team Miller in 2011. Dillashaw won two fights to reach the final against John Dodson. In his official UFC debut at The Ultimate Fighter finale in December 2011, Dillashaw was defeated by TKO in the first round. 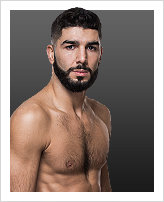 But the defeat didn’t slow his climb to the top of the bantamweight class. 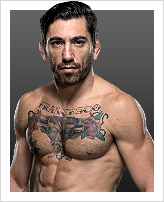 In fact, he won five of his next six bouts to earn a shot at Barao’s 135-pound title. 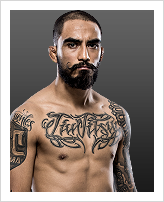 His victory catapulted him to the top of the division and earned him a spot in the UFC’s pound-for-pound rankings. A rematch with Barao was scratched in August 2014, but Dillashaw still defended his title with a fifth-round knockout of Joe Soto at UFC 177. Dillashaw successfully defended his title against Barao at Fight Night Chicago on July 25, 2015.